Ready or not a Twins sequel is heading our way. The ’80s comedy is getting a second installment complete with stars Arnold Schwarzenegger and Danny DeVito. 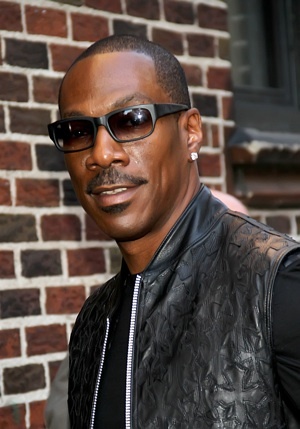 But this time they’ll be joined by another long lost sibling — Eddie Murphy. Arnold Schwarzenegger‘s wasting no time revamping his career. After wrapping his stint as governor of California, he’s returned to his Hollywood roots. The actor’s already scored roles in The Expendables 2 and The Last Stand, now he’s tapping into comedy with a sequel to 1988’s Twins. The film originally starred Schwarzenegger and Danny DeVito as fraternal twins separated at birth. It was directed by Ivan Reitman and earned $216 million worldwide. Almost 25 years later both actors will star in a follow-up and this time they’ll be joined by Eddie Murphy. You might be asking yourself: How does Eddie fit into all of this? According to The Hollywood Reporter, the actor has been enlisted to play their brother — a triplet. There’s no word on whether or not Reitman will return to direct, but he’s on board to produce. Because of Twins‘ outlandish plot, it leaves the door open for several siblings. Schwarzenegger and DeVito’s characters were part of a genetic experiment that used sperm from multiple men to create the perfect child. Unfortunately, it didn’t turn out as planned. Schwarzenegger’s Julius was born with high intelligence and physical prowess, while Devito’s Vincent got the leftovers. Perhaps Murphy’s character could have received the funny genes from the bunch? It does seem odd that he’d play a triplet considering he’s 14 years younger than Schwarzenegger and 17 younger than DeVito. But with a film like this, you have to use your imagination. Are you itching to see Twins 2?